When I was a kid and got a present I would immediately use it, even if that meant wearing a parka in July or playing with my ice cream stand at Christmas. I haven’t grown up all that much because when my brand new slow cooker arrived in the mail it was less than 24 hours before I broke that baby in. My friend Tommy had convinced me to upgrade from my old school crock pot to one with a digital timer. After some research I settled on the Set n’ Forget from Hamilton Beach and have been really happy with it so far. The best thing about having the timer is that I put the lamb tagine in before I went to work and set it for 8 hours – once it hits the proscribed time the slow cooker switches to a warming mode. I was worried that the food would be overcooked and dry but it was perfect. I always wondered how people were cooking in their slow cooker and working a full work day but now I can be one of those people! Browning the lamb at 7:00am wasn’t the highlight of my day but coming home to an almost complete meal was – I served this dish alongside some couscous which only requires boiling water. Viola, a dinner party! A tagine is actually an earthenware cooking vessel from Northern Africa (and the name of dishes made in it). Its conical shape helps seal in moisture to braise chicken or lamb dishes just like its more modern slow cooker friend. 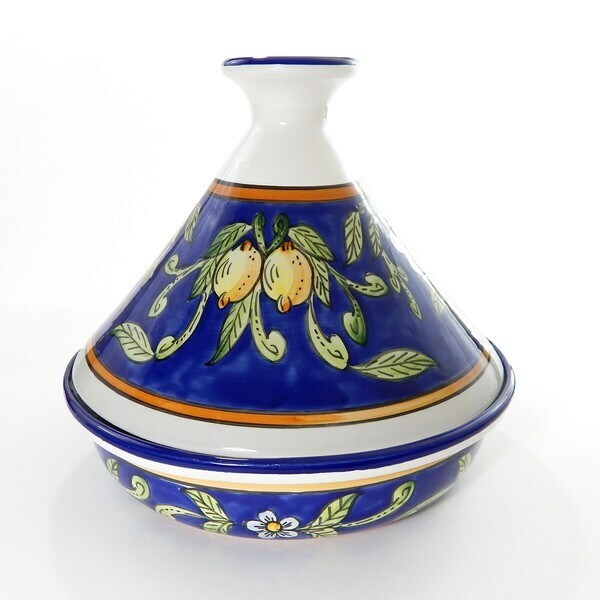 I would love to have this hand-painted one from Tunisia, maybe not to cook in but to use as a serving dish, but tagines are pretty large for a single use item! So the slow cooker it is, just make sure to serve it up in a pretty dish before devouring it. 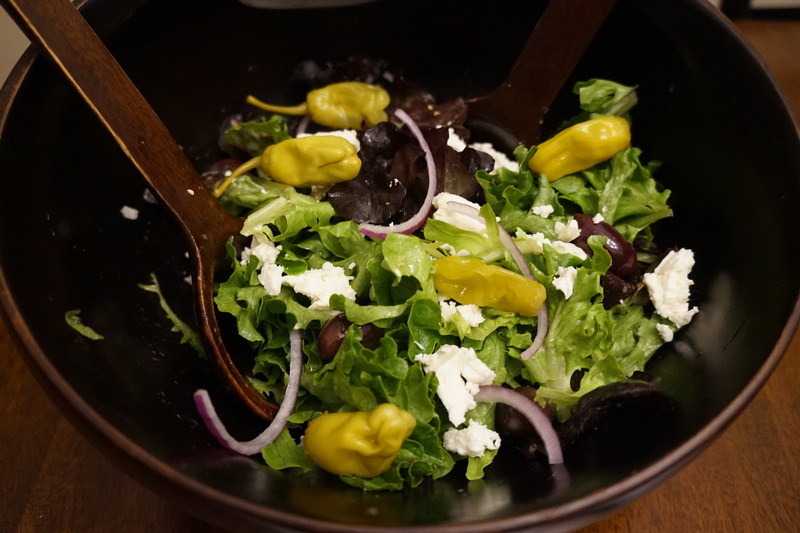 I included some traditional Northern African flavors like the olives and preserved lemons to give this dish a lot of contrasting flavors. If you have never cooked with preserved lemons before this is a great way to start – you can buy them in a jar or make them yourself (I did once and went back to buying them as I couldn’t tell the difference). Because they are processed in salt the lemon rind becomes edible and has a lovely smooth flavor unlike the sharp citrus bite of fresh lemons. They last forever in the fridge and really punch up the slow cooked lamb. I like the Les Moulins Mahjoub brand but any will do. This dish also freezes really nice so make up a big batch this weekend and squirrel some away for a rainy day. Inspiration: my new slow cooker! In a large skillet heat 2 tablespoons of oil over medium high heat. Put the flour in a bowl and season it with salt and pepper. Working in batches (should take 2 to 3 max) dredge (i.e. toss the meat in the flour and then shake off the excess) the lamb cubes adding them to the hot oil. Only do enough that can fit in the pan. Brown the pieces all over, cooking a couple of minutes on each side, before adding them to the slow cooker. Add more oil if necessary to brown all the batches of lamb. 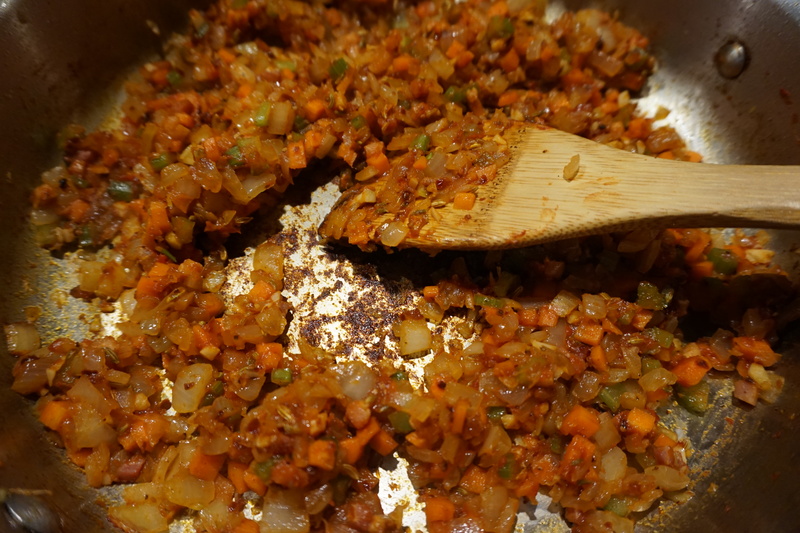 Then add the onion, carrot and garlic to the skillet, lowering the heat to medium if necessary to keep from burning. Cook for 5 minutes or so until the onion begins to soften, then add all of the spices along with salt and pepper. Cook for another minute or so, stirring until all the veggies are combined with the spices. Pour in the port and use it to deglaze the pan (i.e. get all the brown bits off the bottom of the pan). Dump everything in the skillet in to the slow cooker on top of the lamb. Add a 1/2 cup of water and stir everything together. Set for 8 hours on low or 5 hours on high. Once it has finished cooking you can refrigerate for several days or freeze for several months. Right before serving (or while you are reheating it) stir in the chopped preserved lemon, raisins and olives, stirring to combine. Let those ingredients heat through and then serve with the parsley sprinkled on top. In a large skillet heat 2 tablespoons of oil over medium high heat. Put the flour in a bowl and season it with salt and pepper. Working in batches (should take 2 to 3 max) dredge (i.e. toss the meat in the flour and then shake off the excess) the lamb cubes adding them to the hot oil. Only do enough that can fit in the pan. Brown the pieces all over, cooking a couple of minutes on each side, before adding them to the slow cooker. Add more oil if necessary to brown all the batches of lamb. Then add the onion, carrot and garlic to the skillet, lowering the heat to medium if necessary to keep from burning. Cook for 5 minutes or so until the onion begins to soften, then add all of the spices along with salt and pepper. Cook for another minute or so, stirring until all the veggies are combined with the spices. Pour in the port and use it to deglaze the pan (i.e. get all the brown bits off the bottom of the pan). Dump everything in the skillet in to the slow cooker on top of the lamb. Add a 1/2 cup of water and stir everything together. Set for 8 hours on low or 5 hours on high. Once it has finished cooking you can refrigerate for several days or freeze for several months. Right before serving (or while you are reheating it) stir in the chopped preserved lemon, raisins and olives, stirring to combine. Let those ingredients heat through and then serve with the parsley sprinkled on top. I hope you all saw my post on Thursday about the fantastic new Mexican resturant in DC, Espita Mezcaleria. Everything I ate there was delicious but the lamb barbacoa tacos were out of this world. Before my second bite I told Patrick I needed to figure out how to make these at home. I have had lamb tacos before but usually they consist of grilled lamb that has been thinly sliced or ground lamb served in hard shells. The Espita tacos had richly sauced braised lamb folded into their homemade tortillas. A slow cooker seemed like the best way to ensure that the lamb got fall-apart tender. Lamb shoulder would be perfect for this but it can be difficult to find most of the year, whereas lamb leg you can pretty much always track down. I bought my lamb boneless and pre-butterflied because that’s all they had at the store but I promise it’s really easy to do and a good skill to have. Here is a helpful link if you have never “butterflied” before, which is essentially cutting the meat open like a book. It really doesn’t have to be perfect at all since it’s all going into the slow cooker – if you are butterflying for the grill you want to make sure the meat is even thickness. This recipe is a little more fussy than most of my slow cooker recipes – you want a decent amount of liquid to cook the lamb in but then you should cook it down to help concentrate the flavor. If I really had all day I would have cooked all of the liquid down to the 1 1/2 cups needed but the house smelled too good to wait. The lamb at Espita had a nice smokey, spicy sauce on it so I thought chipoltes were in order. I used the dried peppers in the cooking process and then chipoltes in adobo to flavor the sauce. If you cannot find dried chiptoltes in the store, any dried chili pepper will do. As for the chipolte puree, I just take a can of the chipoltes in adobo (which you know about from here) and puree it in the food processor. I use what I need and then keep the rest in the fridge for whenever I want to add a little kick (it will last indefinitely because of the vinegar content). If you don’t want to do that just take one or two of the chipoltes, smash it with a fork and add them to the lamb along with some of the adobo sauce. I served the tacos with chopped raw onion, some purple cabbage and a squeeze of lime. I also added some of my Habanero Hot Sauce which I will be posting on Tuesday (yowza it’s hot!). This would be perfect for Cinco de Mayo celebrations, just make it this weekend, pop it in the freezer and then defrost for next weekend! Heat a large skillet over medium high heat. Add the dried chilis and toast them in the dry pan for 3 or 4 minutes, flipping once, until they darken a bit and you can smell the chili. Remove and put into the slow cooker. Add the oil to the pan and salt and pepper the lamb while you wait for the oil to heat. Once the oil is hot add the lamb to the pan and brown on one side without disturbing it for 5 minutes. Flip and cook for 5 minutes more until both sides are nice and brown. Remove the lamb from the pan and add to the slow cooker. There should be enough fat from the lamb and the oil in the pan but if not add a touch more canola oil Add the onions to the pan and lower the heat to medium. Cook for a minute or two and then add the garlic, cumin, oregano, coriander and salt and pepper. Cook for another 2 minutes until the onions are softened. Add the can of tomatoes and use the liquid to deglaze the pan of any brown bits stuck on the bottom. Add the contents of the pan into the slow cooker with the lamb and chipoltes. Add beef stock so the liquid comes up at least three-quarters of the way up the lamb (you may not need all 3 cups). Turn on the slow cooker to low and cook for 5 to 6 hours. Carefully pull out the lamb and place it on a cutting board to cool (it’s ok if it falls apart a bit as you do this as you are just going to shred it anyway). I used a large spatula and a wooden spoon to get it out of there. Pull out the dried chipoltes and toss. Pour the rest of the content of the slow cooker and its liquid into a blender or food processor (carefully!) and blend until smooth. Transfer one and a half cups of the puree to a saucepan and bring it to a simmer. Simmer over low for 30 minutes until the liquid has thickened a bit, stir in desired amount of chipolte puree. While the sauce simmers shred the meat once its cool enough to handle, it should fall apart very easily. Once the sauce it done combine it with the shredded lamb. You can serve right away or store in the fridge for several days or the freezer for several months. Heat a large skillet over medium high heat. Add the dried chilis and toast them in the dry pan for 3 or 4 minutes, flipping once, until they darken a bit and you can smell the chili. Remove and put into the slow cooker. Add the oil to the pan and salt and pepper the lamb while you wait for the oil to heat. Once the oil is hot add the lamb to the pan and brown on one side without disturbing it for 5 minutes. Flip and cook for 5 minutes more until both sides are nice and brown. Remove the lamb from the pan and add to the slow cooker. There should be enough fat from the lamb and the oil in the pan but if not add a touch more canola oil Add the onions to the pan and lower the heat to medium. Cook for a minute or two and then add the garlic, cumin, oregano, coriander and salt and pepper. Cook for another 2 minutes until the onions are softened. Add the can of tomatoes and use the liquid to deglaze the pan of any brown bits stuck on the bottom. Add the contents of the pan into the slow cooker with the lamb and chipoltes. 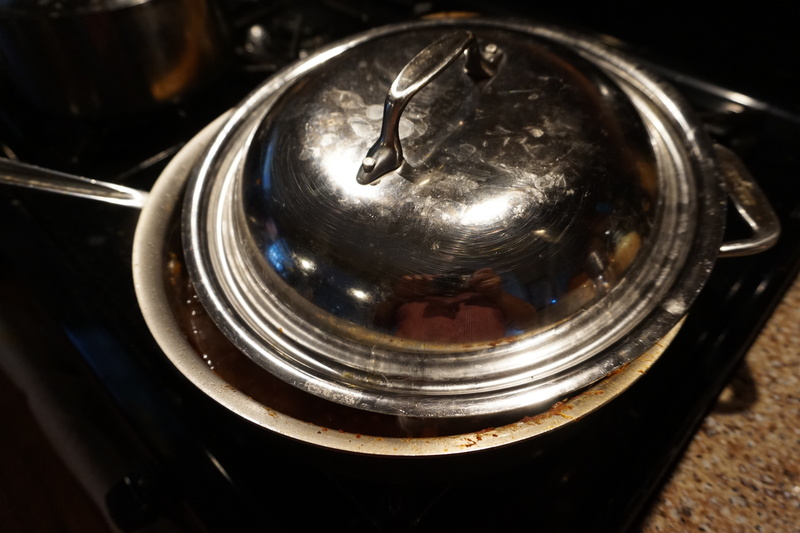 Add beef stock so the liquid comes up at least three-quarters of the way up the lamb (you may not need all 3 cups). Turn on the slow cooker to low and cook for 5 to 6 hours. Carefully pull out the lamb and place it on a cutting board to cool (it’s ok if it falls apart a bit as you do this as you are just going to shred it anyway). I used a large spatula and a wooden spoon to get it out of there. Pull out the dried chipoltes and toss. Pour the rest of the content of the slow cooker and its liquid into a blender or food processor (carefully!) and blend until smooth. Transfer one and a half cups of the puree to a saucepan and bring it to a simmer. Simmer over low for 30 minutes until the liquid has thickened a bit, stir in desired amount of chipolte puree. I could eat pasta everyday of the week (and definitely did when I was in Italy earlier this year). However, I try to limit my intake as much as possible. So when I do splurge and have pasta I want it to be worth it. This lamb ragu definitely falls into that category. It’s a nice hearty meat sauce that begs to be paired with a strong red wine. The lamb makes the flavor a little more special then your average meat sauce, as does the herbaceous fennel and pepper. It takes a little time but the slow cooked flavor is worth it. Mint and lamb love each other and here the fresh herb at the end helps punch up the slow cooked sauce. 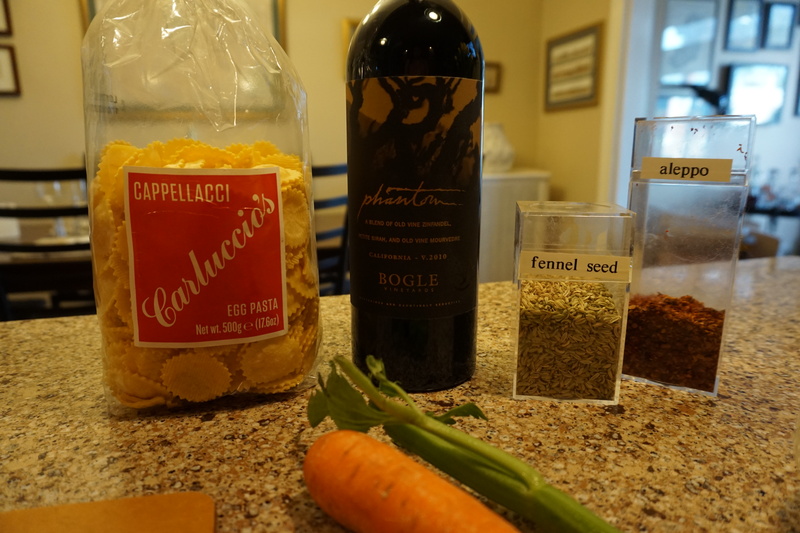 Like I said, this pasta is great with a full bodied red, we had it with Patrick’s favorite, the Bogle Phantom, as well as a light green salad. This sauce freezes really well so you can have it on hand – this is the best kind of thing to have handy for a snow day! In a large skillet or dutch oven heat the olive oil over medium high heat. Crumble in the lamb with you fingers then season with salt and pepper. Don’t move the meat around for several minutes so the bottom can begin to brown. Cook for 5 to 6 minutes until cooked through and browned, breaking up the larger pieces as you stir it occasionally. Use a slotted spoon to remove the lamb and set aside in a bowl. Add the pancetta and cook for 2 to 3 minutes. Lower the heat to medium and toss in the carrot, onion, celery and garlic along with salt and pepper. Cook for 7 minutes until the onion is translucent and the veggies have softened. Add in the fennel seeds, aleppo pepper and the tomato paste. Cook for 3 minutes more, stirring a lot to ensure the tomato paste gets cooked. Add back the lamb and stir it to combine. Add the wine and deglaze the pan using the bottom of your spoon to get up the brown bits. Finally add the crushed tomato, more salt and pepper if necessary. Bring it to a simmer and then half over the pan with a lid so it can all cook together but some steam can escape. Cook over low heat for 45 minutes, stirring occasionally. Here the sauce can be stored in the fridge after it has cooled for several days or frozen for several months. To serve, cook the pasta in salted water, add it to the sauce and garnish with the ricotta, mint and fresh tomatoes. Add back the lamb and stir it to combine. Add the wine and deglaze the pan using the bottom of your spoon to get up the brown bits. Finally add the crushed tomato, more salt and pepper if necessary. Bring it to a simmer and then half over the pan with a lid so it can all cook together but some steam can escape. Cook over low heat for 45 minutes, stirring occasionally. Here the sauce can be stored in the fridge after it has cooled for several days or frozen for several months. To serve, cook the pasta in salted water, add it to the sauce and garnish with the ricotta, mint and fresh tomatoes. 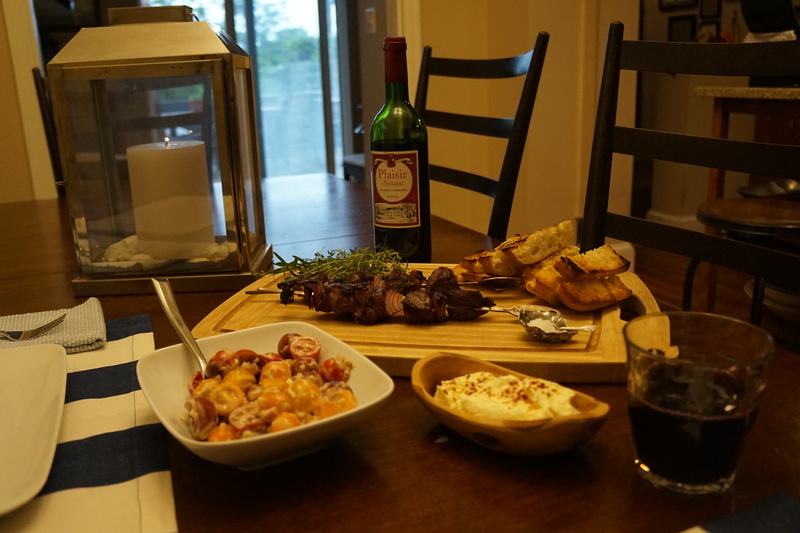 One of the first meals Patrick and I ever made together as a couple was grilled leg of lamb along with greek meeze at a bachelor pad he used to live in with some friends. It was a lot of work and a TON of food but it has such sweet memories. I like to keep special moments like this alive by making an easy version of the same food so you can have it all the time. I mean sometimes the event calls for a huge leg of lamb you wake up early to butterfly and massage with garlic and rosemary – and sometimes you just want something you can throw on the grill and be done with 10 minutes later. These lamb kebobs are just that – a simple week night dinner you can pair with super easy sides but they still feel classy enough to entertain friends with. I made this feta dip to accompany the lamb. Man I wish I could take credit for this dip. Seriously, make it for any party and it will be the first thing gone and no one has to know how easy it is to make. I served it with grilled bread alongside the lamb and a tomato salad. If you want to make life even easier just grab some hummus and pita from the store and you will be all set for a lovely greek evening. Don’t forget to serve that nice red wine you used in the marinade alongside the lamb. In a plastic bag combine the lamb with the wine, rosemary, vinegar, olive oil and garlic. Let marinate in the fridge for at least 30 minutes and up to 2 hours. Take the meat out 30 minutes before you want to grill it. Heat your grill to medium high. While the grill is heating, drizzle the onion with olive oil, thread the lamb and onion wedges on the skewers and then season them with salt and pepper (if you are going to use wooden skewers make sure to soak them in water for 30 minutes before you add the meat so they don’t burn up). Grill, turning occasionally for 8 to 10 minutes. Let rest for 5 minutes before serving. In a plastic bag combine the lamb with the wine, rosemary, vinegar, olive oil and garlic. Let marinate in the fridge for at least 30 minutes and up to 2 hours. Take the meat out 30 minutes before you want to grill it. Heat your grill to medium high. While the grill is heating, drizzle the onion with olive oil, thread the lamb and onion wedges on the skewers and then season them with salt and pepper. Grill, turning occasionally for 8 to 10 minutes. Let rest for 5 minutes before serving. For those of you that live in D.C. you all remember the epic snow storm of 2012, lovingly known as Snowmageddon. As a Boston girl I poo pooed the weather reports for weeks as I had seen the chicken little sky is falling routine time and time again in Washington only to end up with an inch of slush. I was wrong. It was an epic storm that will shape the lives of Washingtonians for decades (for those Bostonian readers this is ala the Blizzard of ’76). Patrick and I hadn’t been dating long, so it was a tough proposition to be snowed in with someone for two weeks – especially after a couple of days when he realized we had run out of food! Thankfully many Capitol Hill restaurants remained open through the whole ordeal, sending plows to their employee’s houses just so they could make it in, and welcoming snow-covered customers who piled wet mittens and scarfs on their floors. Our savior was Cava Mezze on Barracks Row. Now a local chain, back then it was a pretty small family run operation with several standout dishes. Their happy hour deal on spicy lamb sliders and greek wine was all that stood between us and starvation (and probably a quick break up!). Years later it is still my favorite thing on their menu and whenever I eat one I am taken back the memories of that crazy winter. There are lots of lamb burger recipes out there so I played around with a bunch until I found something pretty close to the version at Cava’s. Previously I used chopped fresh chili peppers to give it some heat but then realized foolishly that since one of their staple dishes is fresh harrissa paste served with pita, that the spice in the burger was likely coming from that same hot chili pepper paste mixed in with the ground lamb. 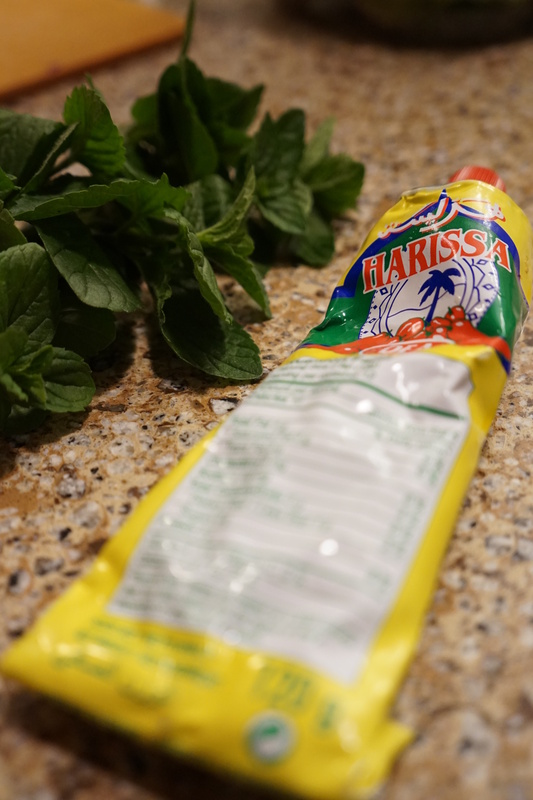 There are lots of recipes for harissa online but I usually buy mine in tubes or small cans at mediterranean markets. Also Whole Foods started carrying Cava’s version which is outstanding. If you cannot find it, any kind of pepper paste would work or a chopped jalapeno would work in a pinch. Also I found that my other attempts using egg and other binders left a burger that resulted in a big mess on the grill. These patties hold together much better though fair warning, lamb is a “softer” meat so can lead to less than instagram worthy burgers. One tip is to form the burgers and then let them chill for at least an hour in the fridge before grilling them This helps them hold together better. Also a good trick for burgers with mix ins like this one – if you aren’t going to eat all 4 right away still go ahead and make the whole recipe. Once you have formed the burgers take the patties you are not going to use and put them on a plate or baking sheet. Place in the freezer for 2 hours – the patty will harden and then you can throw it into a freezer bag for up to 6 months. When you want to make the burgers again just defrost over night on a plate and you will have a premixed, preformed burger all ready for the grill. I serve mine on toasted english muffins, a terrific vessel for all burgers, along with my yogurt sauce, arugula and red onion. These burgers would be great for a family BBQ, a nice alternative to the standard fare, or as we often do for a quick weeknight dinner paired with a large greek salad. These would be a great addition to your 4th of July menu (as will Friday’s recipe). In a small pan heat the olive oil over medium heat then cook the chopped onion and 2 minced cloves of garlic until softened, about 5 minutes. Let the mixture cool. In a large bowl add lamb, chopped mint, the cooled onion and garlic mixture, harissa paste and salt and pepper. Mix with your hands until just combined (don’t over work the meat or it will become tough). Divide the meat into 4 and form patties. If you have time chill for 1 hour in the fridge to make a firmer patty. Heat grill on high and grill for 8-10 minutes. Meanwhile mix the remaining garlic clove with the remaining 3 tablespoons of chopped mint, yogurt and salt and pepper to make the yogurt sauce. Toast the english muffins while you let the burgers rest.